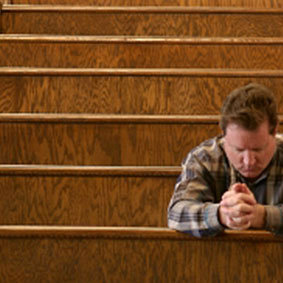 Can you just sit alone, isolated from others who do not agree with you, and be a disciple? The mission proposed in Tent of David is up and running. Each day I get encouraging notes from individuals who are either in a church or making plans to find a church. It is exciting to hear some of their testimonies and opportunities. I just read "Tent of David" and I thoroughly enjoyed it! It brought clarity and purpose to a journey that I started a few years ago. I had been in a large mainstream non-denominational church that was very seeker friendly. I grew very disillusioned with the church not teaching anything but the simple salvation message. In my flesh I wanted to leave … through prayer I asked the Father to confirm this action or show me another way. Things changed dramatically one night on my way to Torah study because I listened to your teaching “Messianic Judaism Reloaded” and I was so filled with joy at the message that I knew I needed to stay with my church. Doors started opening shortly afterwards and to make a long story short as I was reading through the “Tent of David” I have been chosen to teach a Biblical foundations class at my 7000 person church. I have been given a loose curriculum and have been told that I have some leeway to add my own spin to the material within limits. My hope is that with I can insert small portions of Torah within the context of the curriculum provided. I may only get to share with a handful of people to begin with but without your message and book I believe I would have probably continued to isolate myself and left the church. My hope is that the plan that you articulated in your book will come to fruition in my church where HaShem is able to use the small portion of Torah to open eyes and that it all occurs peacefully. Today my pastor asked the congregation, “Can you just sit in the pew and be a disciple?” He is in the middle of a series on discipleship and the true call and meaning of the Gospel. He is challenging our church body with their understanding and expectations of the Gospel. I appreciate much of his message and boldness in a culture of a church that thinks that discipleship is a decision—not a call to service. Like the letter above and by my own example, I ask you to do the work of the kingdom. In my book, it outlines a strategic mission for the transformation of the church—back to its apostolic ideals. It will take incredible humility and peace. But it needs to begin and it needs you. Please consider reading Tent of David and begin an active mission in the church for the sake of Israel.